The New Jersey multicounty litigation established for all Taxotere lawsuits filed in the state’s Superior Courts is preparing to get underway. According to an Order issued in Middlesex County Superior Court on August 24th, the litigation’s initial Case Management Conference will be convened on October 4th at 10:00 a.m.
A list of all companies affiliated with the parties, and counsel associates with the litigation, to assist the court in identifying any problems of recusal or disqualification. Listed of all related actions pending in state and federal courts and their current status. Status settlement negotiations, including settlement demands, mediation, and prospects for settlement. The New Jersey Superior Court consolidated the state’s Taxotere lawsuit docket on August 15, transferring 353 cases to Middlesex County. All were filed on behalf of cancer patients who allegedly experienced permanent alopecia due to their treatment with the medication. Any similar claims filed in New Jersey in the future will also be included in the multicounty litigation. 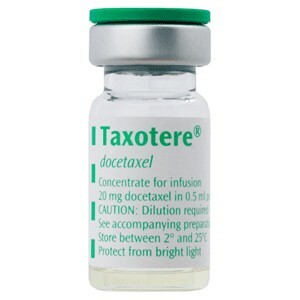 Taxotere (docetaxel) was initially approved by the U.S. Food & Drug Administration (FDA) in 1996 to treat breast cancer. Since then, the drug’s approved indications have been expanded to include the treatment of head and neck cancer, gastric cancer, prostate cancer and non-small cell lung cancer. While plaintiffs pursuing Taxotere lawsuits acknowledge that temporary hair loss is a common side effect of most chemotherapy agents, they contend that docetaxel is more likely to cause permanent alopecia compared to equally effective, alternative drugs. Their complaints cite a number of case reports and studies to back their claims and accuse Sanofi Aventis of failing to warn doctors and patients that exposure to the drug could result in disfiguring and permanent alopecia. Among other things, plaintiffs point out that the European medical community was informed of the potential for docetaxel-induced permanent hair loss in 2005, while the Canadian Taxotere label underwent a similar modification in 2012. However, Sanofi did add mention of permanent hair loss to the U.S. Taxotere label until December 2015. Sanofi-Aventis is facing thousands of addition Taxotere lawsuits in courts throughout the country, including 9,000 federal cases that have been centralized in a multidistrict litigation currently underway in the U.S. District Court, Eastern District of Louisiana.